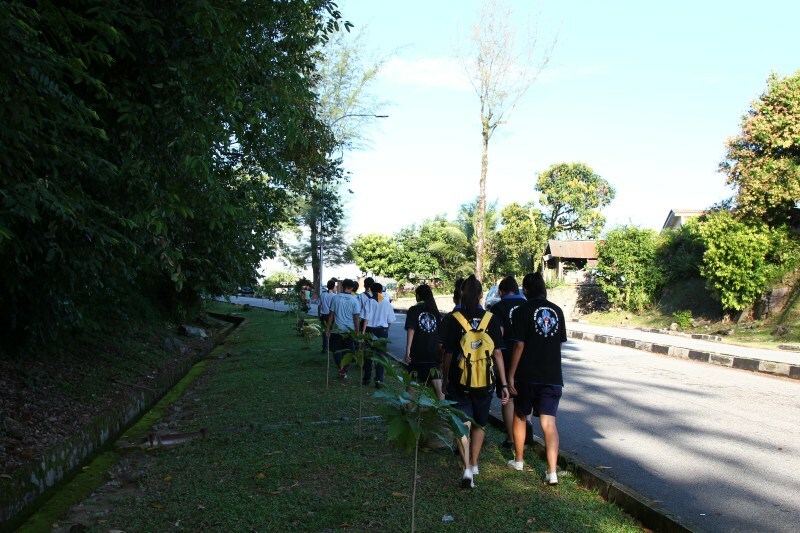 The seniors of 10th KL went for a hike at Taman Saga, Ampang. 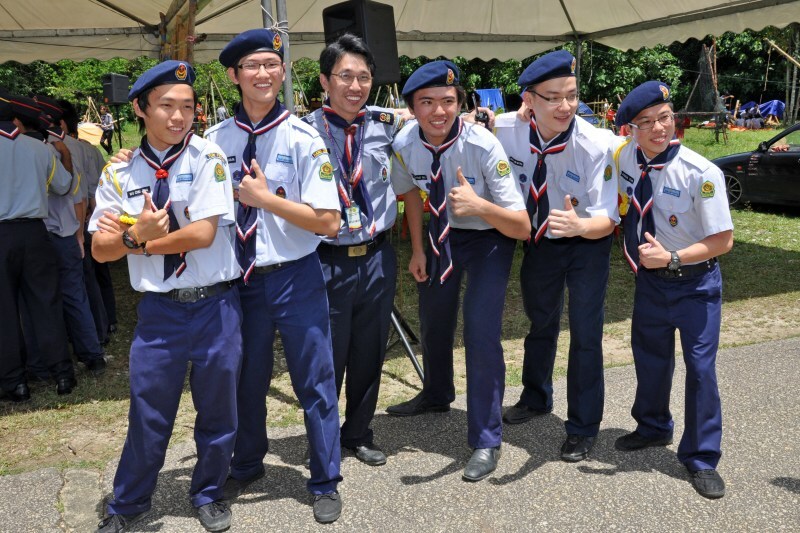 We also invited the scouts from S.M.K Confucian to join us for the hike to deepen the bonding between the two troops. We used public transport including LRT, RapidKL Public bus. This gave a chance to many scouts to try them out as some of them never tried public transport before. At the starting of the hike all the seniors were saying that this hike would be a piece of cake but as soon as they were in the trail, they started complaining that it was too tiresome. 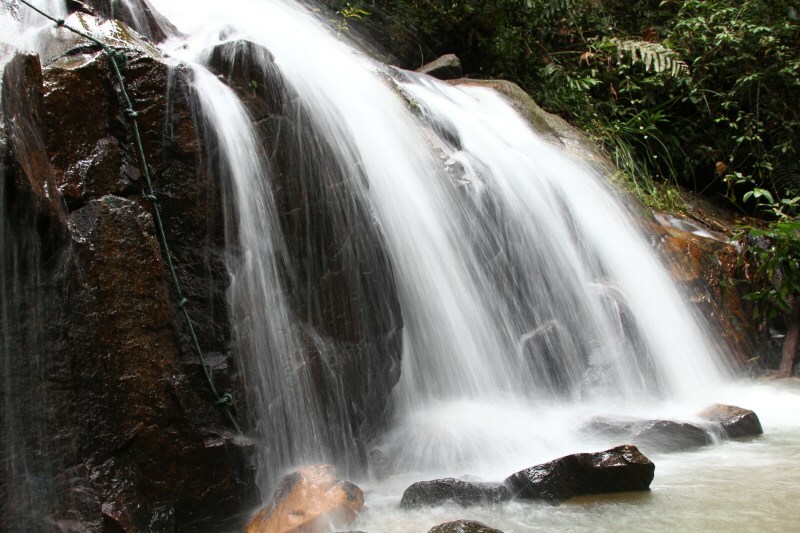 Of course we won’t be just doing physical training just to train, there was a secret reward for them – Waterfall ( MINI ). 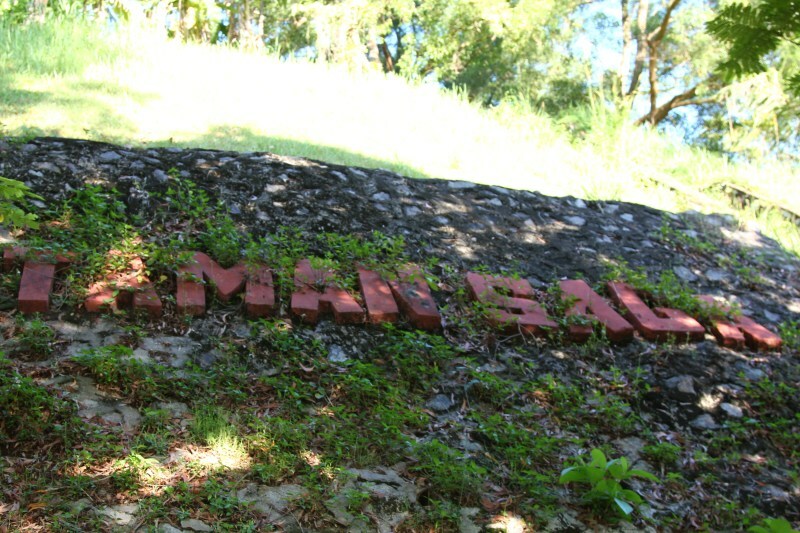 At 11:38:am, The seniors arrived at the waterfall (Mini). They stripped into their underwear as they weren’t told that they would be going to play in a Waterfall (mini) . They relaxed and rejuvenated their stamina. Not long after that, it was time to go and the skies were getting dark, not because that it was getting late, but it was going to rain. It started raining heavily when we were only half way back from the waterfall (mini). Everyone was soaked and the journey continues as there were nothing that could be done. Like what Mr. Wan Heng Yuen always say, everyone complains about the weather but no one can do anything about it, We walked on basically like playing a slide. 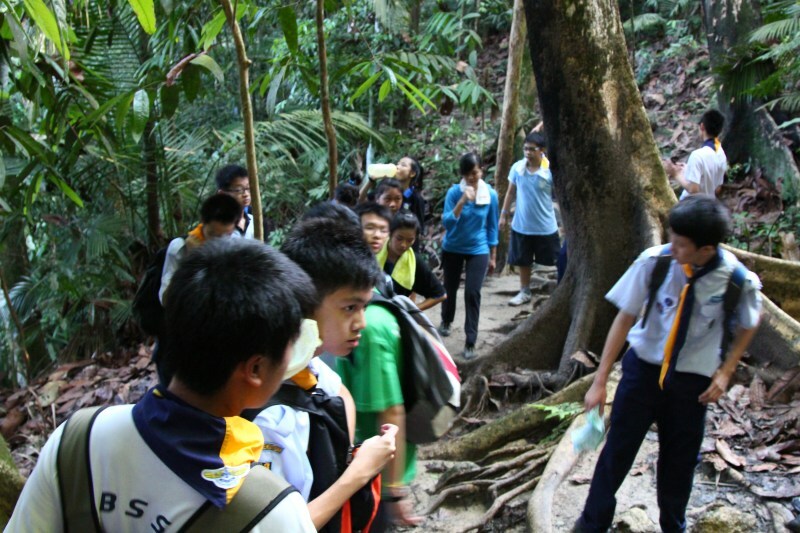 The seniors slide down the slippery trails on their way back and they successfully reached the entrance of the trail safely but some sustained some leech bites. Then, the seniors went back to school.